Torvar Mirsky has signed an agreement to helm Venezia Challenge to the America’s Cup’s adventure. Born in 1986, Torvar had his first victory at just 12 years old. At only 25 he is placed fifth in the ISAF world ranking (second in 2010). 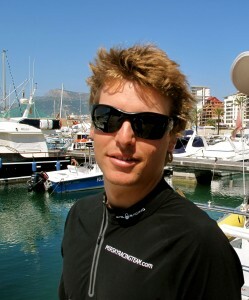 He has competed on the World Match Racing Tour since 2007 and most recently in the Extreme Sailing Series. “He’s our first choice,” said Cesare Pasotti, Venezia Challenge’s team manager. “Torvar is young, motivated and extremely skilled, so I asked Carlo Magna and Emanuela Pulcino to bring him on board.” From June 14th, Mirsky will train in Palermo, at the Club Canottieri Roggero di Lauria, Venezia Challenge’s official sailing club before moving to Cascais in July to train on the AC45.